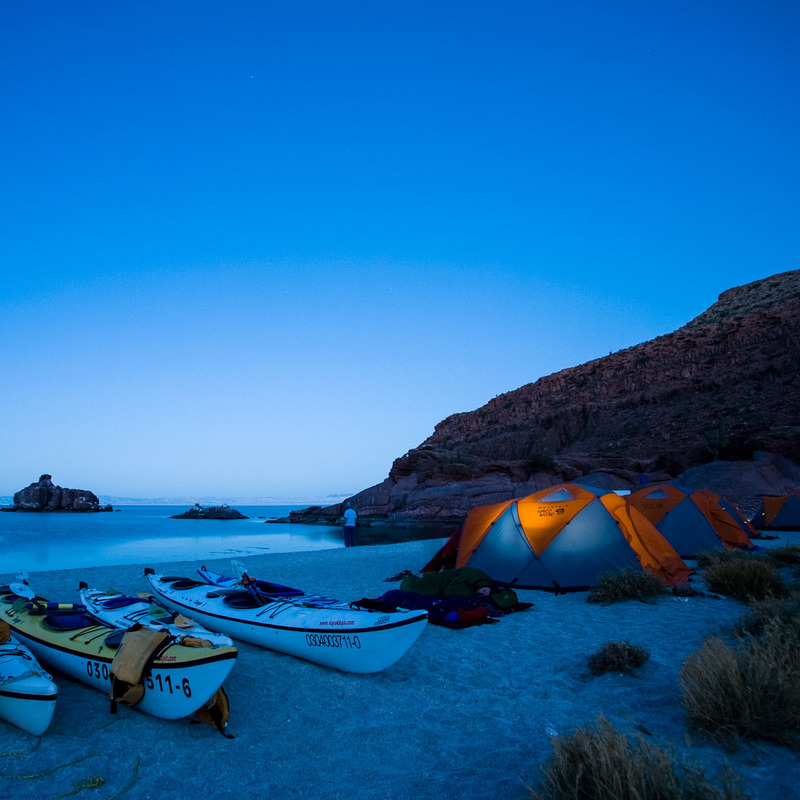 ​Baja, Mexico Adventures with OARS. Dreaming of sunny days paddling in warm ocean waters, mild nights under the stars, fresh seafood and authentic Mexican cuisine and camping on the beach shared with friends—both old and newfound? 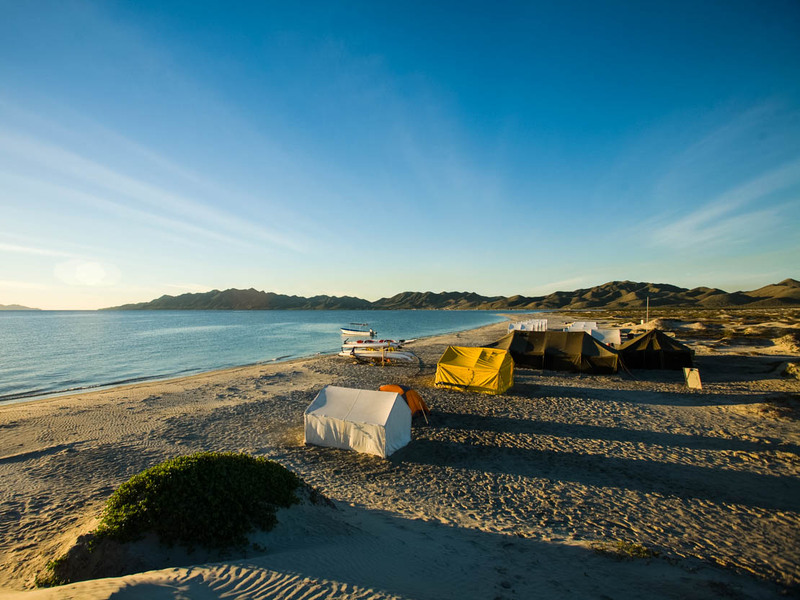 The isolated and rugged coastline of Baja, Mexico is the place for you. 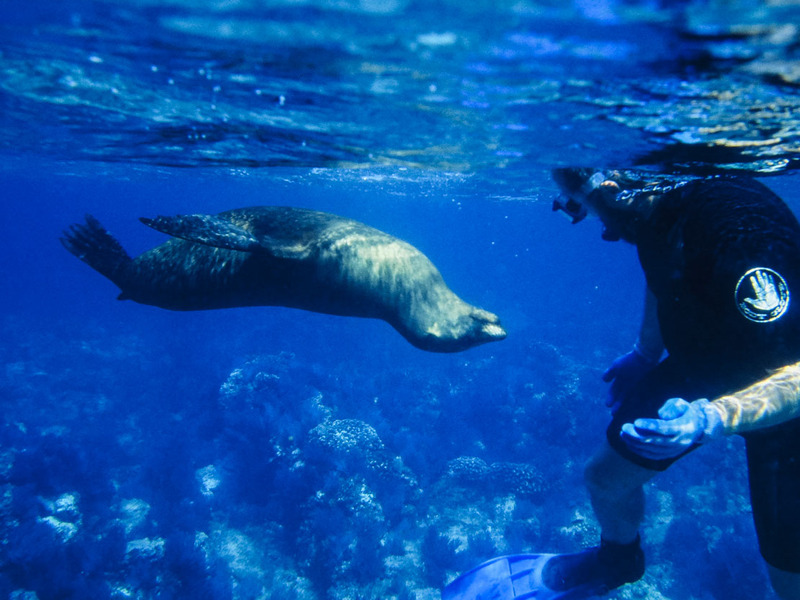 Let OARS help you plan a mid-winter getaway to snorkel with sea lions, sea kayak with playful dolphins and watch for gray whales from the bow of a boat. 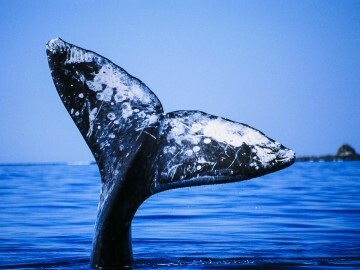 We’ve been running Baja sea kayaking and whale watching tours for more than 25 years. A vacation to Mexico’s Baja peninsula, a mountainous finger of land separating the Sea of Cortez from the Pacific Ocean, provides a dream vacation easily accessible from mainland U.S. Baja is flanked on one side by the cool waters of the North Pacific and on the other by the warm nutrient rich water of the Sea of Cortez. This region, often referred to as the “Mexican Galapagos,” offers some of the greatest diversity of sea life on the planet. The Baja peninsula in Mexico was once a part of the North American Plate, the tectonic plate of which mainland Mexico remains a part. About 5 million years ago, the East Pacific Rise began cutting into the North American Plate, at which time the peninsula began to separate. It is believed the first humans came to the peninsula at least 11,000 years ago, most likely following the Pacific coast down from Alaska. At the time of European contact in the 1500s, two main native groups were present on the peninsula. The population of Baja today is estimated to be slightly more than 3 million with most of the population living in Mexicali or in Tijuana. 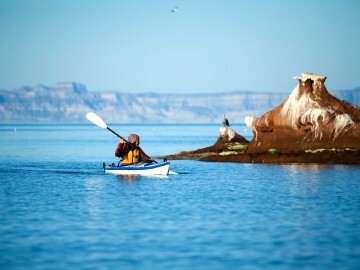 Luckily, Baja sea kayaking expeditions avoid densely populated cities in lieu of coastlines teeming with wildlife. A sea kayaker might expect to see, depending on the time of year, gray whales, dolphins, Manta Rays, sharks and sea turtles, as well as tropical birds including Blue-footed Boobies, Magnificent Frigatebirds, Red-billed Tropicbirds and a variety of hummingbirds. 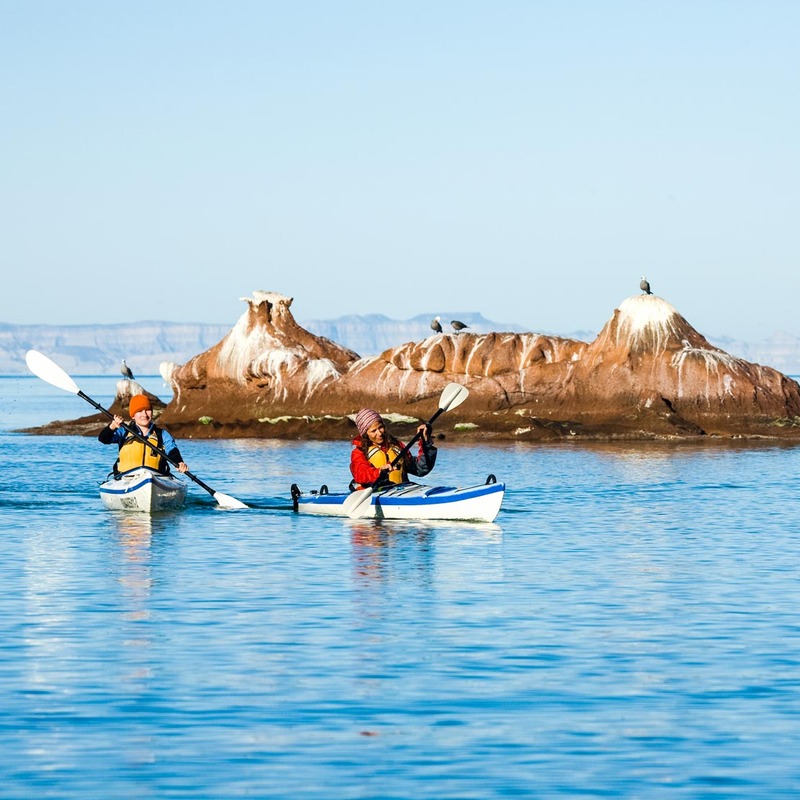 OARS offers four unique sea kayaking trips in Baja, including—our most popular trips—Sea Kayaking Espiritu Santo Island and our Baja Sea Kayaking & Whale Watching tour, which combines sea kayaking at Espiritu Santo with a couple days of whale watching in Magdalena Bay. 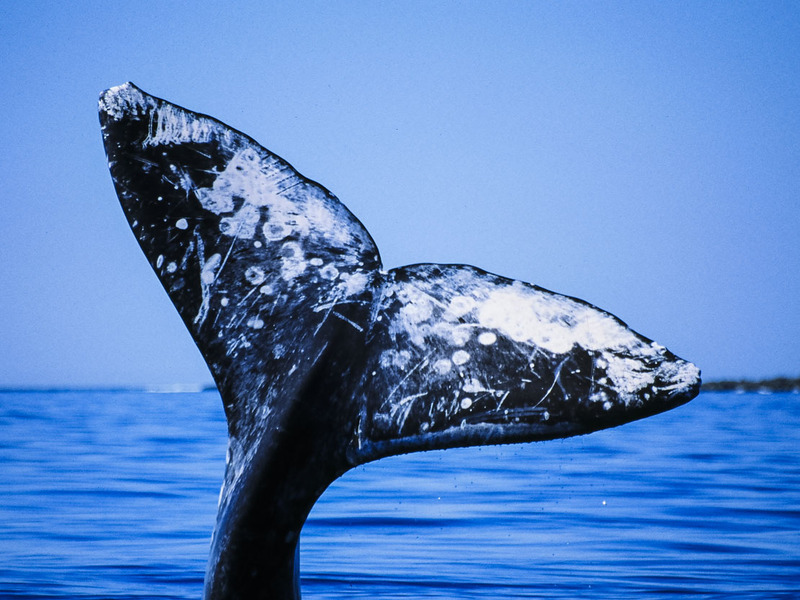 Each year Pacific gray whales migrate from the Arctic to the breeding grounds of Baja’s western shore, and OARS whale watching trips to Magdalena Bay offer friendly, gentle contact with these playful creatures. 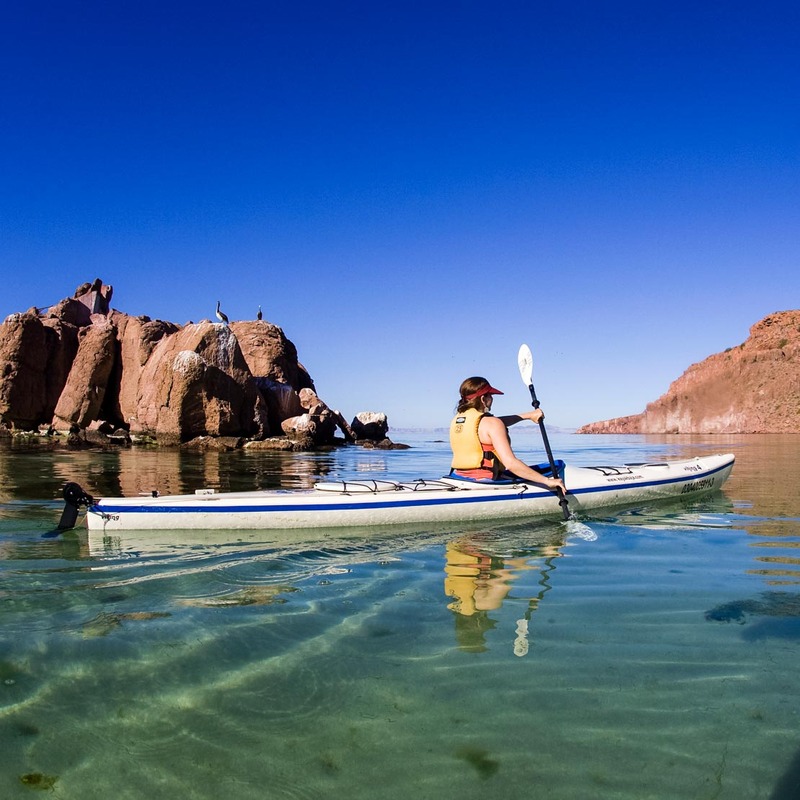 Our Sea Kayaking the Baja Coast & Islands itinerary is another great option for more active paddlers, or on a fourth itinerary, Sea of Cortez Island Hopping, guests island hop through Sea of Cortez Islands in sea kayaks while also enjoying snorkeling, hiking, fishing and visiting local fishing villages. 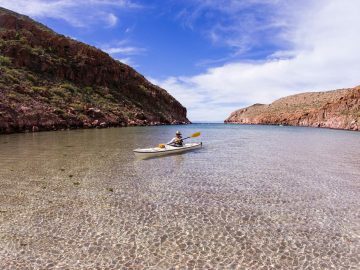 Each of our Baja kayaking tours provides the experience of a lifetime for avid sea kayakers, wildlife lovers, outdoor enthusiasts and those simply in need of a little rest and relaxation, as they encounter the wonders of the Sea of Cortez. 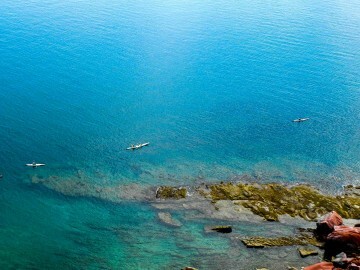 Guests on our Baja sea kayaking trips need not have prior paddling experience. 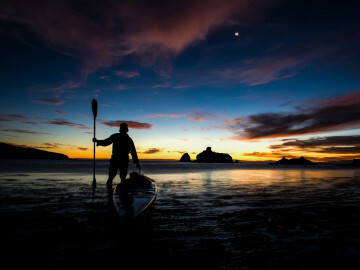 Why choose OARS for a Baja Sea Kayaking adventure? 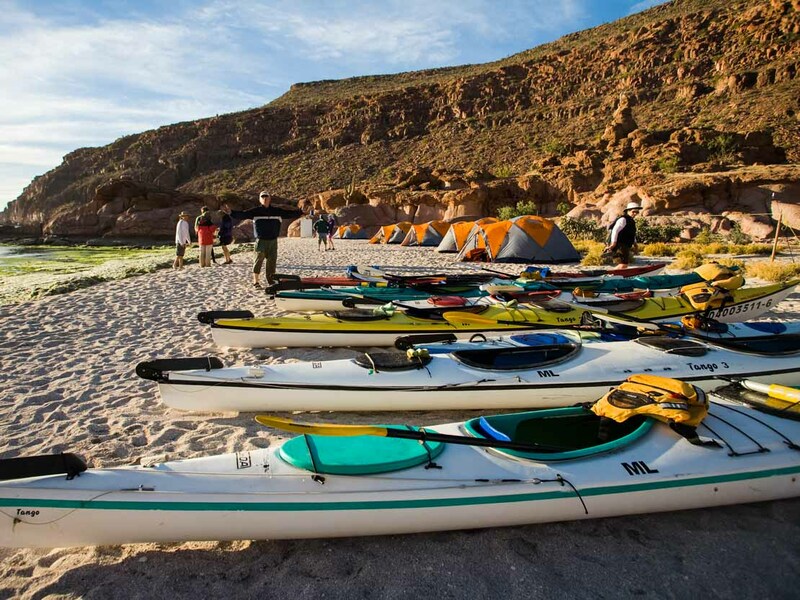 OARS Baja, Mexico adventures have been among our most popular international adventures for more than 20 years. 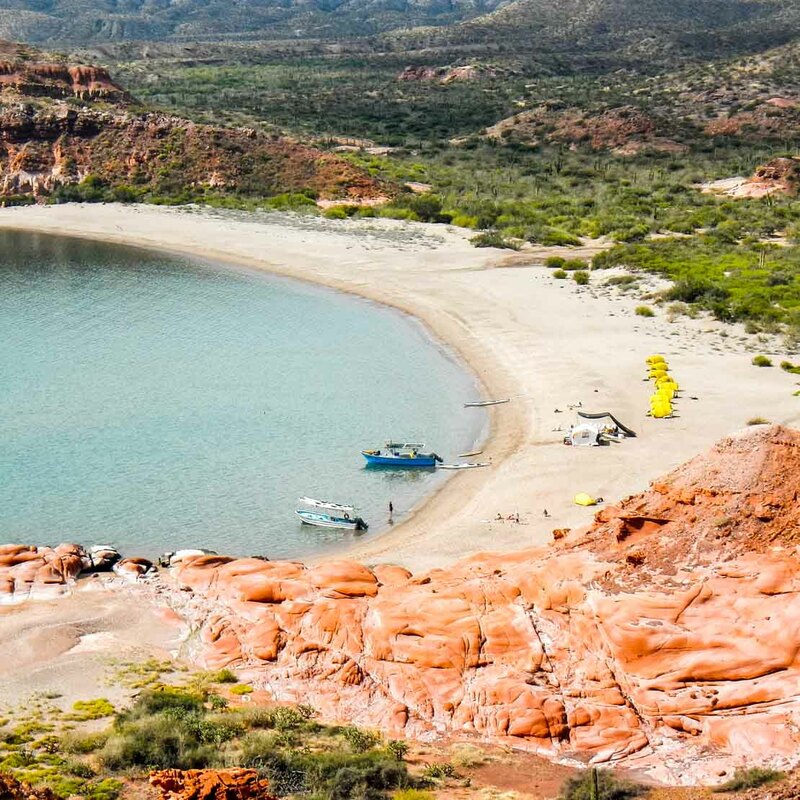 The accessible nature of our itineraries, incredible scenery and wildlife, our exceptional operations partner in Baja, and reliably good trips at an affordable price put our Baja trips on the map. 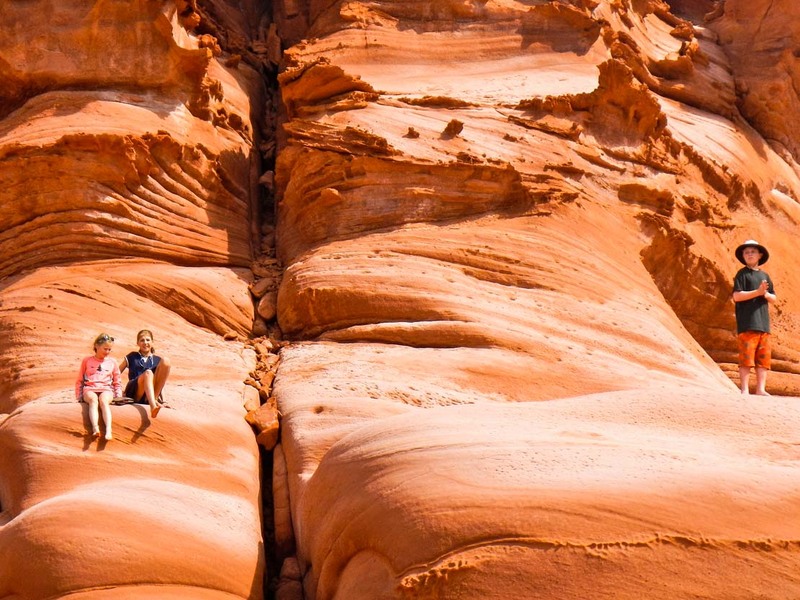 We have led more than 500,000 guests to some of the most beautiful places on Earth, never losing sight of one of our foremost goals: to make the joys of the world’s most wild and wondrous places accessible to everyone—no matter how experienced. Our guides are safety-conscious with extensive wilderness experience. OARS provides the best guide-to-guest ratio in the adventure travel business, thus ensuring your questions are answered and your concerns are given the personal attention you deserve. 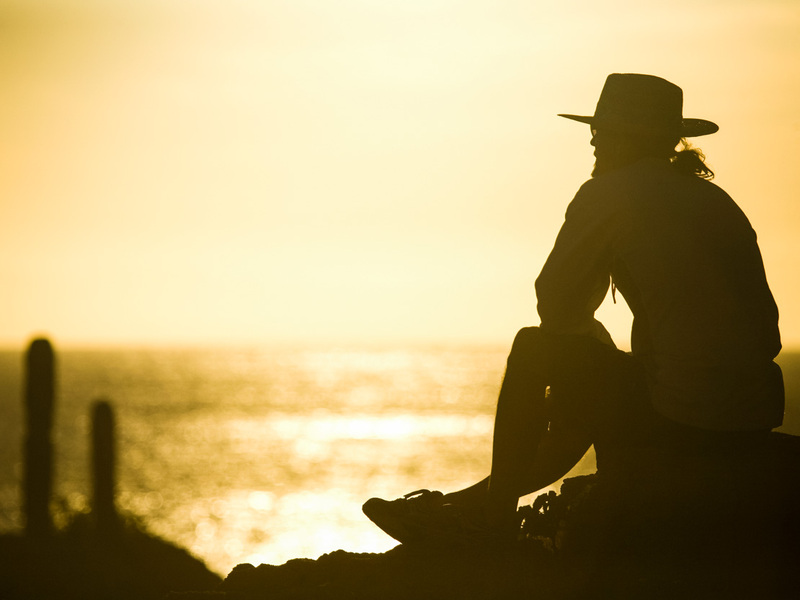 And, our team of friendly and knowledgeable Adventure Consultants are available year-round to answer your calls and help plan your Baja sea kayaking vacation. We believe it is a fundamental part of ecotourism is to work with local guides while at the same time bringing our wealth of experience to the table. 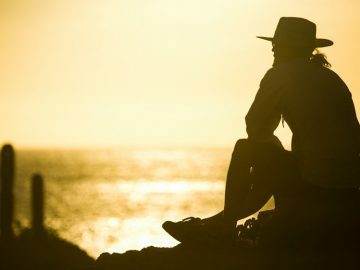 Our partners in Baja are passionate about introducing travelers to the beauty and magic of the Baja landscape, wildlife, and people and they have a strong focus on the preservation of this unique and special place. 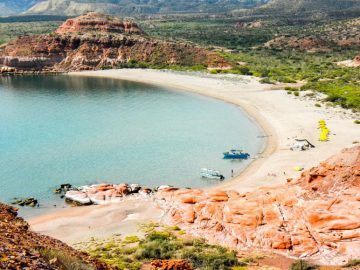 Together with our like-minded partners in Baja, we contribute to the long-term preservation of the area.